Grenoble's Office de Tourisme (or Maison de Tourisme) is in an ugly building (map), but the staff are exceptionally friendly, knowledgeable and helpful. The Office de Tourisme offers a Grenoble Pass, which provides reduced admission for several of the main attractions in Grenoble, including the Bubble cable car to the Bastille and the Grenoble Museum. 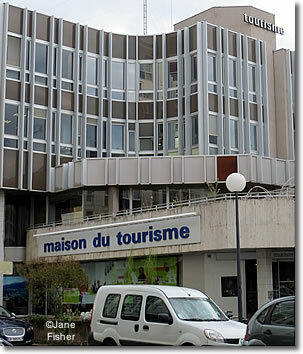 Grenoble Office de Tourisme: ugly, but useful.